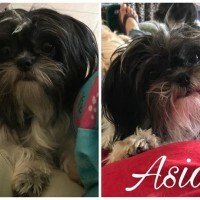 Aiko has an in charge loving leader personality, loves to dance Salsa, and should be in a rally or jumping competition, LOL, unique in every way. 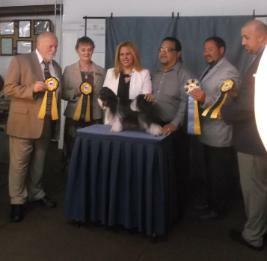 Top Ten 2015 ICE show and 3 Reserve BIS, 1 BIS Rare breed. 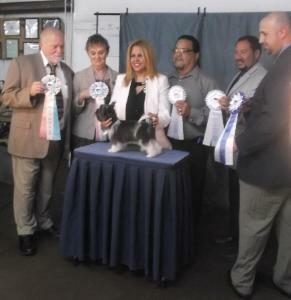 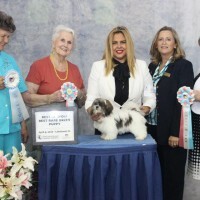 She won Best in show Rare Breed, Reserve Best in Show Best of Breed and Best of puppy at the IABCA June 2014 in Lakeland, FL. 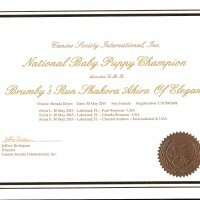 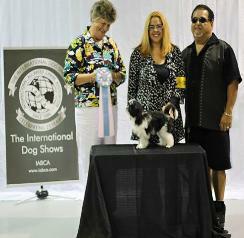 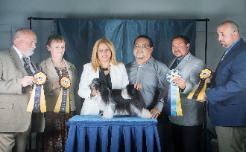 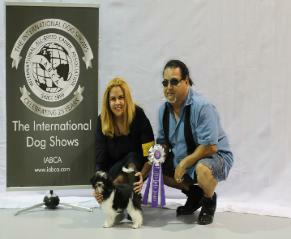 Won her puppy National/International Championship and Good Citizen for temperament from AKC. 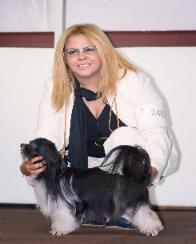 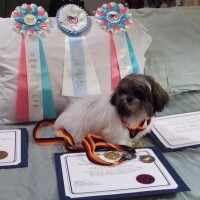 Won her adult International title at the ICE show 5/30/15, won 1st place BOB all 4 groups with perfect V1 scores, 1 Best in Show Rare breed, 3 Resesrve Best in show Rare Breed. 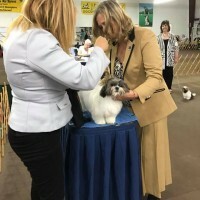 Her pedigree goes back to TEE-NEE lines, Gold cup Multi CH Angels Charming Chester, Grand CH TEE-NEE King of the Hill and many more. 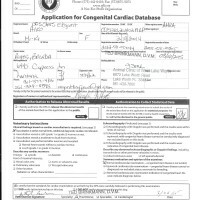 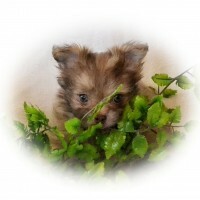 She has Ch. 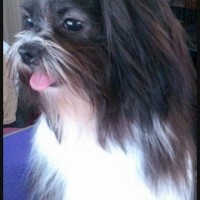 Boo Boo in her pedigree. 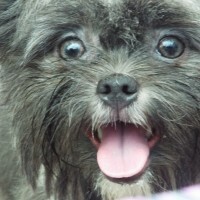 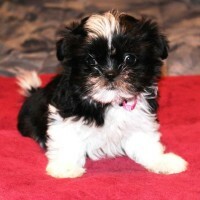 This beautiful girl is a chocolate, long coat Mi-Ki, her hazel eyes will mesmerize you. 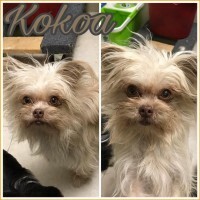 Kokoa is full of energy and curiosity, a bit mischievous but loads of fun. 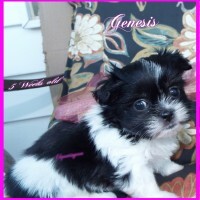 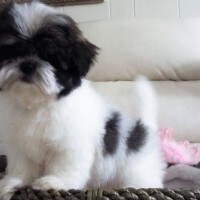 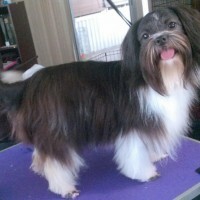 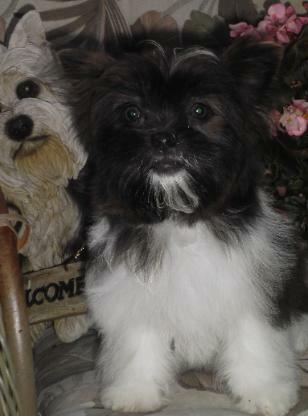 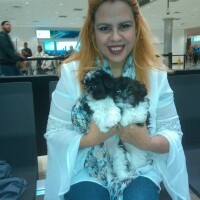 Genesis is an Elegant puppy, she is a gorgeous tri color, Long Coat Mi-Ki. 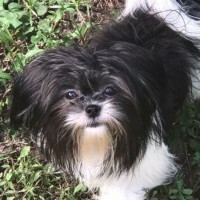 She will soon go for her health tests and show.